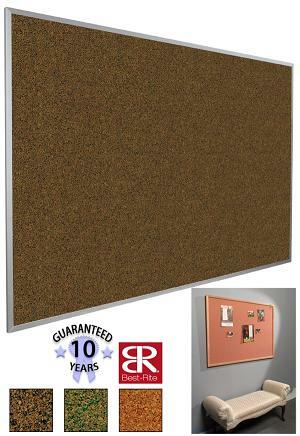 Splash-cork Bulletin Boards by Best-Rite are colored corkboard framed in anodized aluminum designed to meet your specific decorating needs. In splash cork, the rubberized binder has been tinted to provide added color and texture.This durable surface is self-healing and cleans with detergent and water. Splash cork surfaces consist of a 1/16" thick layer of cork laminated to a 3/8" layer of insulation board core. 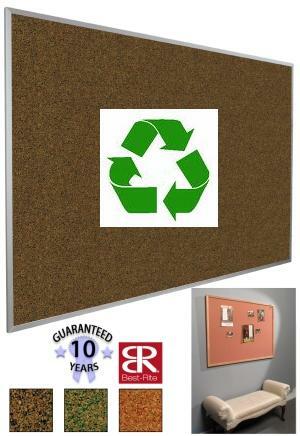 Natural cork surfaces are made of finely ground 100% cork held together with a rubberized binder.